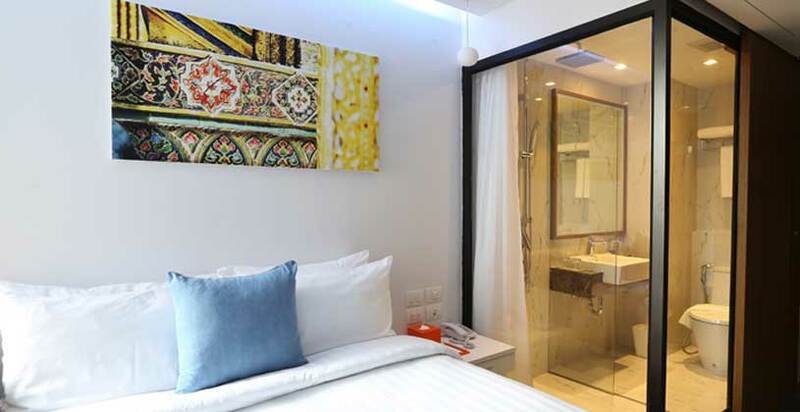 At S Box Sukhumvit Hotel, our mission is to bring all the facilities of luxury accommodation at a reasonable price. 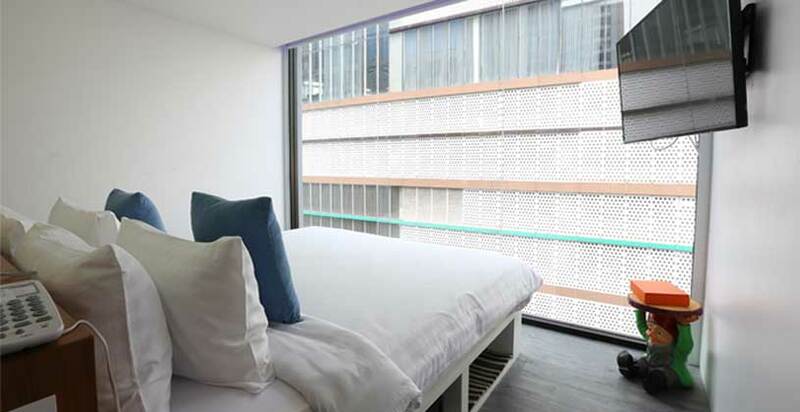 S Box Sukhumvit Hotel is your home retreat within the city center of Bangkok, an affordable hotel in Bangkok that has access to everything. 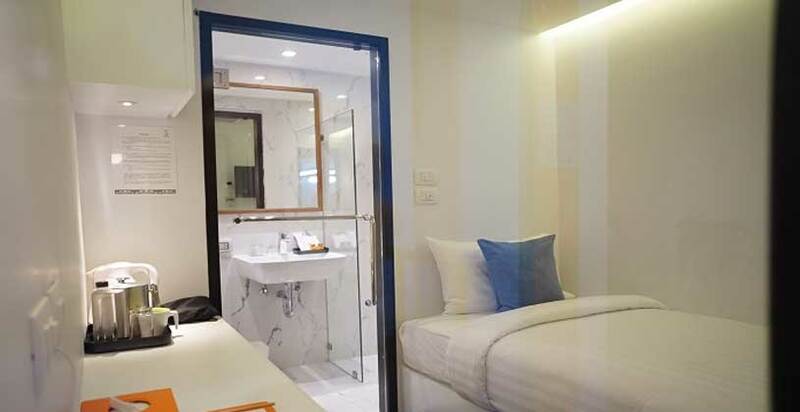 We are located in the central district of Bangkok, but strategically located away from the noise and bustle, providing you a calm place to stay and enjoy your taste of Thailand. We are located on Sukhumvit 31, just 50 metres from Sukhumvit road and just 500 metres from the sky train station. We have built a reputation for bringing boutique experience in a Bangkok backpacker hotel. Not only are our prices reasonable, there are special promotions and discounts running all the time so that you could save more on advance bookings. We take pride in being one of the best backpacker hotels in Bangkok. Receive up to 38% off your booking! 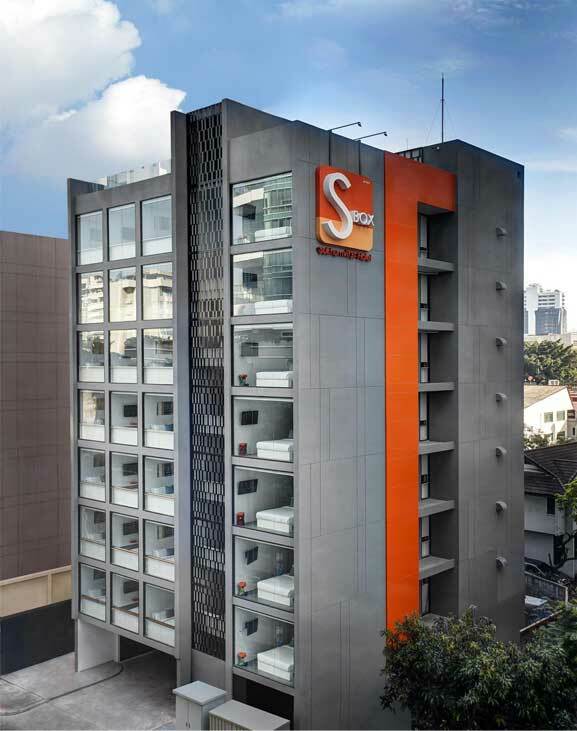 Where is S Box Sukhumvit Hotel located? 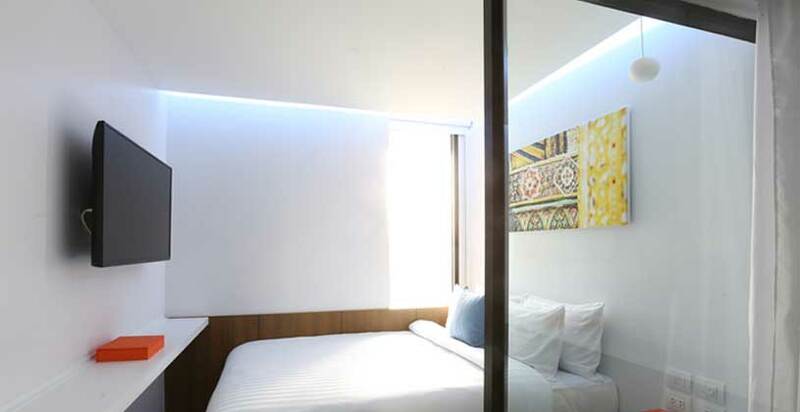 As a budget hotel in Bangkok, the S Box hotel is located on prime property, just 50 meters from Sukhumvit Main Road on the Sukhumvit Soi 31. Finding us is easy as we are just 0.5 km from the BTS (Sky Train) Phrom Phong Station and 45 minutes from the Suvarnabhumi International Airport or the Don Muang Airport. So reaching us is as easy as just walking from the Sky Train station. Our hotel is near Terminal 21 mall Bangkok, which is a great destination for shopping and dining. Early check-in before 9:00 AM (Full day charge) subject to room availability. Early check-in after 9:00 AM until noon (Half day charge) subject to room availability. What are the arrangement for children and extra beds? Children Policy: One child under 11 years stays free of charge when using existing beds. Child charge: Breakfast Free for child age 0 - 5 years. Child charge: Breakfast haft price for child age 6 - 11 years. Child charge: Breakfast cost is THB120 for child age 12 years. Are there car parking spaces available at the hotel? Yes, there is free car parking space available at the hotel, it is recommended that you check-in early to ensure car parking space is available. -Modifications within 3 Day(s) before the guest’s check-in date will be charged the first night of the reservation. Modifications on the check-in date will also be charged the same amount. -Cancellations within 3 Day(s) before the guest’s check-in date will be charged the first night of the reservation. Cancellations on the check-in date are not allowed. -Guests who do not arrive within 24 hours of the check-in date and time of the hotel will be charged the total amount of the reservation. This place is in between two large shopping mall's and plenty of bar's and restaurants. The rooms are clean and comfortable, and the staff is incredible. Very easy to get anywhere by tram, taxi, or bus. Great Stay for budget travelers !! I stayed for weekend. The property offers neat and clean rooms @ great rates and also the staff is super friendly. The location is just perfect, bang opposite to Dinosaur Planet and surrounded by some great cafes and restaurants. Easy to reach out different parts of the city as BTS Phrom Phong is just 3-4mins walking from the hotel. The rooms are comparatively small yet comfortable and cozy. Had a lovely stay. One of the best hotel i've stayed in bangkok so far..the rooms and bed was very comfortable with friendly and helpfull staff..this is going to be my permanent hotel when ever i visit Bangkok . The breakfast was nice and big enough. Really love the colour changing lights ! Staffs were nice ! Especially the lady serving breakfast. It was a nice gesture for the hotel to provide free continental breakfast for the guests !